Didacienne had five children and no home of her own. Her husband died nearly 25 years ago in the Rwandan genocide. Bringing her children up on her own left very few options to provide for her family. Without water in their village, life was extremely difficult. 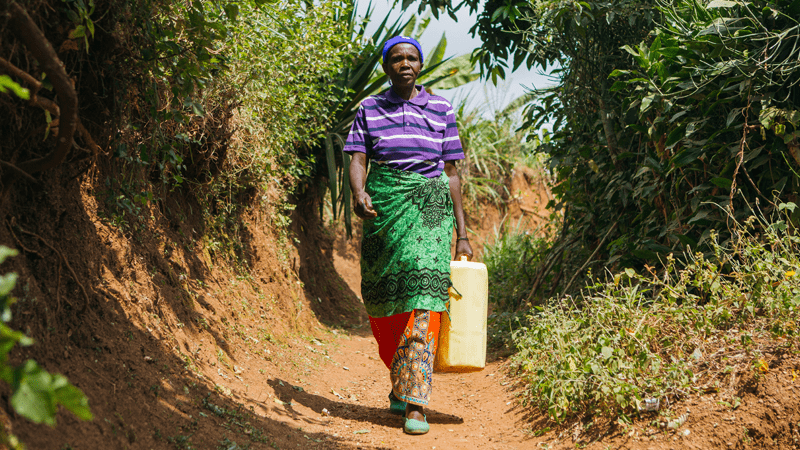 For Didacienne and her children, living in rural Rwanda meant spending two hours every day walking to fetch water – down steep hillsides to an unprotected spring deep in the valley, only to have to carry a 20-pound jerry can of water back up those same hillsides. Not only did Didacienne lose time retrieving water, but she was often sick. Like many people in her village, Didacienne often suffered from waterborne diseases and very sadly one of her own children died. Fetching water requires hours of time each day and contaminated water causes constant illness. In these circumstances, prosperity plummets. Across Africa, women spend up to six hours a day collecting water which is often dirty and unsafe. When they inevitably get sick from drinking the contaminated water that they have spent so long collecting, they then suffer further with direct costs of doctors’ visits and medicines. This was the case for Didacienne; lost time and poor health affected how much she could work and provide for her family. Thanks to programmes funded by The One Foundation, Didacienne’s village now has a safe supply of water and she has gained her time and health back. As well as improved health and more time to spend with her family, Didacienne got a job in the village as a local water seller. She spends several hours a day at the water point selling water to her local community and the profit that she has made has changed her life. Didacienne can now buy better food and clothes for her family and invest in her children’s education. Most importantly to her, she built a house for her family. She is so proud and excited about her new home that she dances in its doorway. 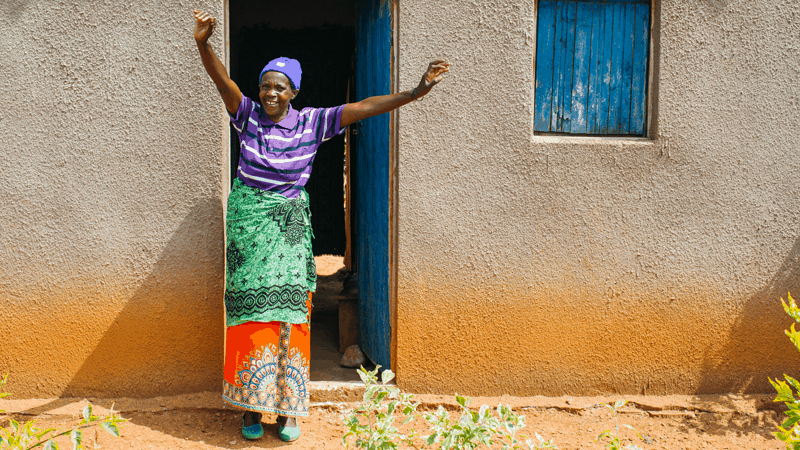 When The One Foundation partnered with Didacienne’s district of Rulindo to bring her community improved water services, it gave her a chance at a better life – not only because she saved time and was healthier, but because it gave her a job. Water systems and services around the world create jobs for people like Didacienne – multiplying the prosperity water brings to their lives. The One Foundation‘s vision is a world in which everyone has access to clean, safe water, forever. You can read more about our work in Rwanda on our project pages.